While chemotherapy and radiation have long been considered the gold standard for treating cancer, it’s not because they have been proven to cure cancer. We tend to forget that science does not always represent “the truth.” Instead, it is often artfully constructed to meet the needs of the pharmaceutical industry and mainstream medicine. Conventional doctors have considered chemotherapy treatment and radiation to be the standard of care for so long, they’ve lost sight of the fact that these treatments are causing cancer − not curing it. 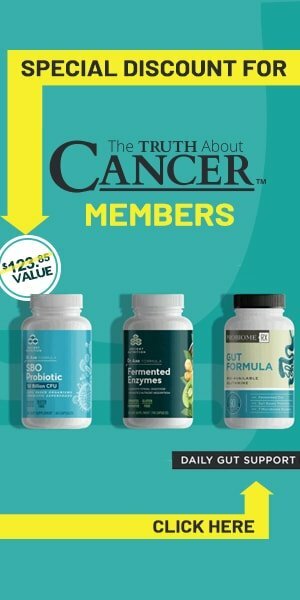 Did they somehow miss the fact that these super toxic cancer therapies could be the reason for their repeat customers? Chemotherapy is not efficient. It is not selective, meaning it kills healthy cells along with the cancer cells. This inflicts serious damage on the body. Plus, chemo kills mostly rapidly dividing healthy and cancer cells − but not all of the cells are fast-growing. Cancer stem cells (CSCs), a small population of cancer cells that are slow-growing and therefore resistant to treatment, do NOT die. To make matters worse, the treatment makes these cells even stronger in numbers as the ratio of highly malignant cells to benign cells begins to spiral out of control very soon after chemotherapy treatment ends. These cells then take up residence elsewhere where they regenerate treatment-resistant tumors. Chemotherapy also impairs the immune system, thus disabling it from disarming and removing cancerous cells from the body − so the patient is then more vulnerable to the recurrence of cancer. It makes no sense to “treat” cancer with a therapy that causes cancer… does it? Back in 2004, an Australian study on the effectiveness of chemo came up with rather bleak results. It showed an overall contribution of curative and adjuvant cytotoxic chemotherapy to 5-year survival in adults was barely over 2%. Given that chemo itself creates cancer, it’s a good thing they didn’t track the study a few more years, where they likely would have seen inverse results. Since then, numerous other studies point to the ineffectiveness of chemotherapy treatment. Sometimes there is a benefit to chemo treatment (or radiation). For example, a very large tumor might need to be reduced in size if it is putting life-threatening pressure on a vital organ. Or if it is too large to be safely removed. However, just because you get an 80% reduction in tumor bulk, this does not mean you are targeting the most dangerous cells − the cancer stem cells. If you are getting multiple opinions about how to treat your cancer, keep in mind that if you want apple juice, don’t go to a lemonade stand. They won’t sell it. Just like a conventional oncologist is not going to offer you alternative treatments. Chemo and radiation might well be the only tools in your allopathic oncologists’ medical toolbox. I highly recommend seeking second and even third opinions in order to compare the various protocols available. If you’re considering chemotherapy, here are 12 very important questions to ask your oncologist BEFORE you schedule any chemo treatments. The purpose of this list is to empower you to take charge of your cancer. No one is more interested in saving your life than you are, and this list will help you in making smart clinical decisions. What is the goal of the chemo for my cancer? Is this a cure? 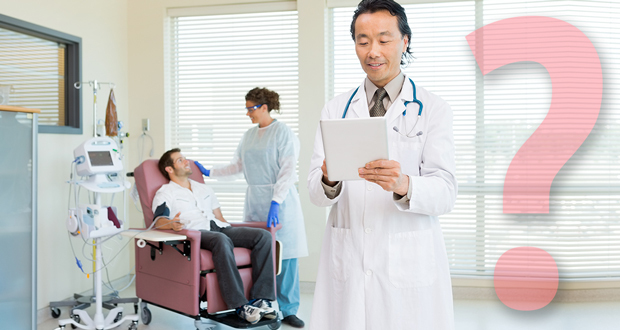 Doctors rarely use the word “cure.” Instead they say things like “remission” or discuss 5 and 10-year survival rates. Be clear on the expectations of a treatment plan. Despite the protestations of most oncologists, there is no one right treatment for any cancer. All the while, patients are given drugs that do not have the capacity to work for that particular person, often leading to failure and unnecessary suffering. 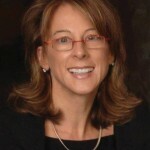 Medical oncologists are increasingly encouraged to adhere to the standards defined by the National Comprehensive Cancer Network (NCCN) guidelines, regardless if the treatments even work or will work for the individual seeking treatment.These guidelines offer recommendations for treatments by diagnosis, based on the response for the “average” patient. But cancer patients are anything but average, and there are no average outcomes. Each cancer patient and each cancer has its own unique characteristics. Sensitivity testing takes some of the guesswork out of the equation by using specialized lab tests to predict how well a particular chemotherapy will work. What is your opinion on taking supplements during treatment? While most supplements are completely safe to take during treatment and can actually boost the efficacy of treatment, many allopathic (conventional) doctors have not been trained in this subject. What are my other options if I decline treatment? You are asking this to uncover the doctor’s knowledge of available alternative therapies. What lifestyle changes will I need to make to improve the outcome of the treatment and protect my body during treatments? How will you nourish and protect my healthy cells while you’re killing my cancer cells? Also ask how they recommend you detox from the chemotherapy treatment afterwards. What will your proposed chemotherapy treatment do to my cancer stem cells? How will you support my immune system during treatment? What will you do if I become resistant to chemo treatment? How will this treatment change the cancer environment? Ask if it will only kill the cancer that is there and leave you vulnerable to more cancer? Oncologists don’t always share that once the immune system is depressed, the cancer stem cells can go on to create more cancer. Would you give this same chemotherapy treatment to your spouse or children, and if not, what would you give them? Would you take it yourself? Watch for Part 2 of this series where I’ll cover 10 Questions to Ask BEFORE Saying “Yes” to Radiation Treatment. Chemotherapy and radiation have long been considered the gold standard for treating cancer, but it’s not because they have been proven to cure cancer. Chemotherapy is not selective − it kills healthy cells along with the cancer cells, which causes serious damage to the body. Cancer stem cells (CSCs) are a small population of cancer cells that are slow-growing and are resistant to treatment. Chemotherapy does not kill off cancer stem cells. These cells then take up residence elsewhere where they regenerate treatment-resistant tumors. 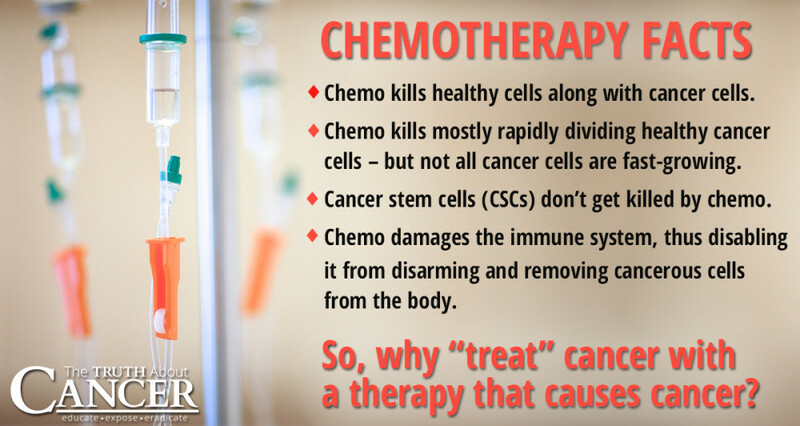 Chemotherapy also impairs the immune system, which then disables it from removing cancerous cells from the body. This makes the patient more vulnerable to cancer coming back. Most oncologists only recommend chemo, radiation, and surgery and are unlikely to recommend alternative and complementary treatments. Seek 2nd and even 3rd opinions in order to compare the various protocols available. If you’re considering chemotherapy, here are 12 important questions to ask your oncologist/doctor BEFORE you schedule any chemo treatments. These questions are to empower you to make smart clinical decisions for YOUR body. What are the chances that the chemotherapy treatment will work for me, for my cancer? What are my other options if I decline treatment? 2 1/2 weeks ago I finished proton therapy for base tongue cancer, Stage III at MD Anderson in Houston. At the beginning they recommended chemo (Cisplatin). I rejected it and said I would chance the proton only therapy. They came back with Erbitux as a substitute for chemo. I had 8 sessions with only severe skin rashes & pimples, which cleared up fairly quickly. Do you have any research on Erbitux? What about asking what direct or indirect financial gains the oncologist or the oncologist’s office will receive for the delivery of the chemotherapy drugs? I had an anaphylaxis reaction to Erbitux, (for invasive squamous skin cancer0 after 4/5 minutes, damned near killed me, reaction was probably due to a tick I had one me sometime ago, their is a correlation between the two…..of course my oncologist poo-pooed it, but one of the 1/2 dozen nurses who flew to my aid, asked me that question, she had just given a seminar on that very subject just two weeks prior to my incident. Now I’m leary of taking any kind of chemo, do all chemo therapy have a sugary based compound. I’m about at my wits end here, have had a dermatologist hack away at me, let some go too long, have had radiation on some that had gone to long without timely treatment, DIDN’T WORK, then sent to a plastic man for 6 skin grafts, had a pet scan, found breast cancer and a warthins tumor……..my last visit to the cancer center was very troubling, they suggested finding an oncologist closer to where I live, in essence, they washed their hands of me. Now I,m facing what to do next, some of this tumors have been for over two months and are need of some.sort of treatment, the plastic man WILL NOT DO ANY MORE SURGERY,he wants to amputate my leg, I’m not willing to do that, not at 77. I’m a teacher in British Columbia, Canada. This week I happened to be covering the cancer part of the curriculum in Science 9. After watching the first two TTAC videos and doing other research on natural cancer remedies, I was quite conflicted about what the textbook and curriculum had to offer for “education” on cancer. I felt compelled to tell my students to think for themselves especially in the area of cancer prevention and treatment so I added a little to my lesson by way of information about chemo and the risks, diet patterns that are prevalent, the dirty dozen, and other therapies that have been successful but have come under attack by the established powers that be. I also shared about the quashed study of leukemia patients and their living proximity to overhead 500 kV transmission lines. But I really want to thank those at the TTAC for your work in educating the public about cancer and the mainstream health care system. Blessings to you all. We appreciate you letting us know about your experience with the curriculum and your students. Thanks so much for thinking outside the conventional “box” and letting your students know that there are MANY options for preventing and healing from cancer — not just the Big 3 of chemo, radiation, and surgery. Jean, thanks for bringing that critical question up. Since most patients don’t know that the oncologist actually makes a cash profit on the chemo, unlike regular perks (trips, etc) for general Rx drugs. I personally think that is why so many insist their patients do chemo even when they know the data for chemo on their particular cancer has very limited (and short-lived) benefit. My mother was heavily pressured by her oncologist and submitted to chemo for 1 week before she came to herself and stopped. She is almost 4 yrs cancer free from advanced colorectal cancer. Chemotherapy was projected to give her 18 months. Can you tell me what holistic things your mother did to become cancer free. I really want to know. chemo and the neuropathy in my feet is terrible. Dirt Cheap protocol (baking soda-molasses) probably did more to arrest my cancer than chemo. Norm, do you have the ingredients and direction for the the Dirt Cheap Protocol? (Baking soda and molasses}. Caution with baking soda/Malasses or maple. I tried this last year for hodgkins. I felt a rapid increase on lymph nodes in my neck. I’m very desperate I tried natural treatments for 18months before almost dying I had to do ABVD for 6 months-no hair loss and I was bad so I felt better after I started. I was a raw vegan little fruit. I tried b17, Budwig, bill Henderson, yoga, daily coffee enemas, colonics, daily infrared sauna, for about 1 year- blood work not good. Changed to Cellect-Budwig protocol with vegan diet down hill way faster I filled with fluid and started chemo. 2 months after chemo and being cleared of this horrible problem I got a cold and a lymph in my neck swelled up. Had a pet scan uptaking the dye-not good. Was suppose to repeat pet scan 2months later. I waited 8months with a house fire thrown between that. I’m positive in my neck, gullbladder, stomach, one inch spot on my liver but my previous tumor in my chest upper area is still shrinking. I’m a mess. I’m 33 years young! Mom of three great kids! Chemo scrares me to death. My husband has abondended me. He is here but doesn’t want to be bothered. I found the first lymph node at 29 in Aug. after I found out my husband was having an affair. I met Jared kid against chemo and his family while perusing natural TX it was very incouraged. I have tried so hard with natural things. I have done way more than listed including 714x perinodular injections. I’m having trouble removing stress (husband). Mentally abusive way worse since the cancer. I’m trying RSO oil now. To strong for me in the past. Of course I juice, vitamix. The only thing I haven’t done is remedy my stress which is important I know. My doctor is recommended ICE and won’t talk to me about the stem cell transplantation he doesn’t do that part. He was not happy with me for being late coming in…best wishes to all! Hi Brenda, After stopping chemo, she did 3 weeks of radiation, and then stopped that short as well. The surgeon we found thankfully told her that she really didn’t need to do 5 weeks of radiation, and he scheduled her surgery as soon as possible after she healed from the radiation damage. Prior to surgery (and continuing after) she took modified citrus pectin (Econugenics Pectasol C) to help trap any cancerous cells that would get into the blood stream from surgery. She also did BioEnrgy C from LongevityPlus.com which is a powdered form of vit C that allows you to tolerate higher oral doses without getting loose stools or stomach upset, 1 tsp=4gms vit C. Also Agaricus Blazei Mushrooms from Desert Forest Nutritionals (imported from Brazil), organic green barley powder (can’t remember the brand now), PSK mushrooms, turmeric, high dose vit D3 (take with magnesium since it’s used to fully activate vit D), L-glutamine (to help heal from the short-term chemo and radiation damage), and whey protein powder. I believe she also continued her Carlson’s Cod Liver Oil. There may be something I am forgetting, and of course, lots of prayer. We’re grateful the surgeon moved quickly. When he performed the partial colectomy to remove the 12 cm tumor, it had perforated the bowel wall and was 1 mm from her lymph nodes. He took about 10 lymph nodes and thankfully they came back negative. If we had waited any longer, it would have spread to her lymph and to other parts of her body. Her CEA tests have come back normal since then, and we hope by the grace of God that this year’s test is still clear. My mom also walks a lot. Wish you the best! Awesome holistic regimen. I do the holistic regimens as well. A lot of the stuff above, I am doing now. The tumor on my colon has been shrinking a lot, and therefore, no need for surgery! Thank you, Lord! A holistic regimen is the best way to go. I receive chemo every other week. My CT Scan looks good and the dosage is being reduced starting Wednesday. Positive attitude, and the prayers of the righteous availeth much! God has my time clock and I am in His hands, not man’s. My labs are good, as well as my WBC and my plalets(?). Cod liver oil, High Vitamin C, Vitamin D3, cell food, organic vanilla protein shake, exercise, plenty, plenty of water. Diamond Creek water is great! Ph Level of 9.5. Great list of questions. I would also ask about short term and long term side effects. My mom recently had her ascending colon removed (colectomy) along with 18 lymph nodes due to a cancerous tumor 6 weeks ago. The surgeon told her that she was cancer free after the successful surgery. She has recovered beautifully! Her surgeon recommended that see an oncologist because the pathology report indicated that 5 of the 18 lymph nodes tested positive. There was not any metastasis. The oncologist immediately recommended that my mother take a 6 month treatment of Xeloda (3000 mg a day) -two weeks on and one week off for 6 months. He listed the side effects (which are horrendous). He also said that if the chemo pills were too much for her body to handle, he would immediately discontinue the medication. After many family discussions and prayers, she has decided not to take the treatment. She is 84 years old, 4′ 8″, 89 lbs, and an ever -ready battery! Does someone know a holistic doctor who we can meet with to discuss a diet protocol? She has a lot of life in her, believes in the Holy Spirit, and has a very positive outlook on life. She is our love and joy. To all of you who are dealing with similar situations in your life, may God continues to bless you, protect you, and heal you! Any and all information will be appreciated. Hi Sandy I hope all is well. Nearly the same is happening with my mil. How is your mum after not having chemo? Wow, that’s quite a tale about all your doctors. I guess circumstances get in the way of treatment sometimes. If I need an oncologist I’ll make sure to have a short list of one’s I can call. I really liked your summary at the end. My son was recently diagnosed with cancer, and we are going to have to figure out the treatment option. The questions you added at the end were really helpful. It will make a great guide to ask the doctors. Can you share a link to the Australian study or any study proving Chemo doesn’t work? I can’t find any online. Thanks! Hello my name is Rick and I am 58 yr old man and am wondering about a testosterone supplements. Is there a safe one to take or is this something I shouldn’t even consider. I am feeling tired and am losing muscle mass and strength. I really don’t take any prescription drugs or even and medication or anything else for that matter so that is why I am questioning if this would eve be a wise choice. We would suggest speaking with a trusted medical professional before starting any new supplements. Try consulting with holistic/naturopathic doc or two or even three if you can afford to do so. If they try to sell you their own supplements, read labels, take notes, and go home and research where they really come from. There are quacks and there are legits, you want to not poison yourself anymore if you are not feeling well. Beware of clinics that offer vitamin C infusions, etc. Even tho C is a fantastic cancer fighter and just all around good for you, the only way to get full benefits to to eat organic fruits and veggies that are high in C and other vits. Always better to go as natural as you can. And beware of quackers. They are out there. And there are plenty of resources online for true organic sups. Good luck, just be carefull, do your research, even research any doc before you make an appt. Don’t be fooled by fake testimonials, anyone can write those. My mom was diagnosed with pancreatic cancer last week. The doctors want her to start chemotherapy. I don’t know what kind. What are some complementary medical options, because I’m not sure what to suggest to her. She’s 73 and lost my dad to prostate cancer about 7 years ago. She wants to fight the cancer. I want her cured, not just in remission. Maitake mushroom capsules boost immunity during chemo. I took them because Sloan-Kettering was using them to reduce side effects of chemo in BC and prostate cancer patients. It is wonderful that progressive cancer docs are looking more into natural supps. Just wish they would use them overall instead of chemo…but that is a long ways off. There is too much money involved. Research, research, and if you do decide to supplement, be sure to find the purest, organics that you can find. They are available online for sure. Watch out for the additives they use, they are not necessary. Any supp should just be the organic main ingredient, and natural coatings if taken in pill or other forms. There is no reason to have 22 ingredients in say, a magnesium supp, when you can get it with only 3. Crazy what pharma does to things…make us more sick so we have to take more junk. Take the time to do research for your body. Very informative article I will be asking these questions at my first appointment with the oncologist.thankyou. Best wishes! We hope you get the help you need. I like that you gave a list of questions to ask in regards to getting the right kind of cancer treatment. Understanding the possibilities of resistance to treatment is useful. My sister’s friend might like knowing this as she looks for cancer treatment centers. I was diagnosed with Acute Myeloid Leukemia on Dec 28, 2018. I was told I had 6 months to live if I “didn’t do anything”. I went for a second opinion to the Mayo Clinic in Rochester, MN. Further tests were done. I have qualified for a Clinical Trial (BEAT AML). I’m feeling pressured by my oldest daughter who is ver concerned. In the meanwhile I have radically altered my lifestyle and diet. I am also seeing an acupuncturist and consulting with a Nutritionist and a Homeopath. I have a lot of support where I live, but my daughter is quite upset . I am still asymptomatic so I don’t know where the standard “6 months” fits in. I have watched the majority of TTAC (some episodes truncated early). I’m not so sure I want anything to do with chemo. I am experiencing “information overload” at the moment. I have also looked into Clinics in Baja and Nevada and the RGCC test. I recently had a larger than a softball (according to the doctors) cancerous mass in my colon. (Discovered by ColonGuard. A surgeon removed my ascending colon (along with my appendix), hepatic flexure, and transverse colon. I guess that’s known as a right hemicolectomy. He removed 22 lymph nodes that all tested benign. ALERT! In two days UPS will deliver Zeloda to my door for me to sign for. I am sitting here aghast after searching the internet for information on this medicine. Lands, I’m 78 years old, on meds for A-fib, had a slight stroke a couple years ago, have neuropathy in my feet and lower legs and am on Warfarin due to the stroke. I certainly don’t need a chemo that is going to exacerbate all the conditions I already have, plus give me a myriad more. My blood count is low so I am going to have to take some iron (which I have never needed before.) I am totally exhausted. The cancerous mass had grown through the intestinal wall, just barely, and attached to some of the mucosa, but not any of my major organs. The PET/CT showed no metastasis anywhere in my body. My surgeon said 6 months of this chemo would be “easy and was strictly a safety measure.” I certainly understand the commentors here and their fears. After reading their comments. I’m wrestling with the decision to call this whole show off. However, I don’t want to commit suicide. Please, any body out there, help me through the night! If you happen to have been diagnosed with cancer, I would strongly recommend you look into alternative medicine. I am not suggestion only alternative, but do not disregard what it can do for you. As a doctor of Chinese Medical Qigong, I have had my fair share of cancer cases: some just going with the Medical Qigong route, some in combination with massage, or acupuncture, or herbs. Radiation is for targeting. Chemotherapy is like napalming a village to get rid of 1 or 2 rats. If you happen to choose radiation or chemo, seek out a doctor of Chinese Medical Qigong. They can help a lot toward the side effects and yet still be able to assist in dealing with the disease. Some herbalists and acupuncturists can help too, but not just any. It needs to be an herbalist or acupuncturist that specializes in your type of cancer. Thanks for sharing this great explanation with us.